As the melting-pot of the Known Spheres, the Rock of Bral is an ideal place for unusual characters PCs might not ordinarily encounter in groundling campaigns. Presented here is a giant wizard who can be an antagonist or ally for a party of adventurers, and can easily slide between the two roles. Note that familiarity with the 2nd Edition Forgotten Realms product Giantcraft is helpful, but not necessary to use this character. 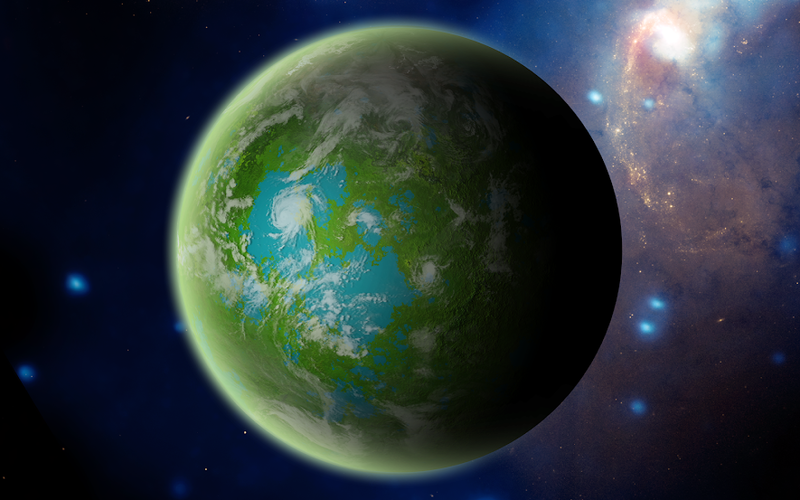 One of Calidar’s three moons, and the twin of Kragdûr, Alorea is the home world of Calidar’s elves, and also gnomes. The entire moon is forested, with some inland seas. Conservation is a number one priority for the elves. There are a number of different clans, but the Sòldor hold most of the power, controlling the other clans and indeed the moon itself through an academy called the Tòrr-Gàrraidh. Originally founded by the Tolarin to manage the moon’s forests, the Tòrr-Gàrraidh has now become a sinister name for the ruling Sòldor junta. Alorea’s gnomes were subjugated by the Tòrr-Gàrraidh centuries ago, and are now used as slaves, kept in line by a magical form of torture. Alorea has already made an appearance in Melchia’s story arc (“The Spy”) in Under the Great Vault. SJA3 Crystal Spheres Available at RPGNow! The following book excerpt contains scenes of graphic violence and torture. Discretion is advised. A door opened. Shaundar tried to get a grip on himself at once; the last thing their captors needed to see was weakness. His eyes blinked against the sudden brightness of the lantern in the corridor, but it was quickly blocked by an enormous silhouette. Its owner was a scro; gray-skinned and huge, with arms like tree trunks. “Ah, good, you’re awake,” the scro rumbled in a voice that sounded almost like a lion purring. His unconscious echo of Yathar’s earlier remark was a little disturbing. It was odd to hear the Espruar tongue in such a rough baritone voice. “Maybe you’ll be more forthcoming than your friends.” He grabbed Shaundar’s shirt and with one hand lifted him to his feet. Shaundar was too weak to stand, however, and his leg startled him with the blinding jolt of pain it reported when his weight was put on it. He made a noise that sounded to his own ears like the bleat of a goat. The scro backhanded Yathar in the face as casually as one might swat an insect. He crumpled backwards against the wall. Shaundar noticed now a purple bruise all the way around Sylria’s left eye. He imagined this scro punching her in the face the way he had just punched Yathar and his fists involuntarily tightened. Spelljamming Drow in Baldur’s Gate 2! Submitted by Silverblade the Enchanter. What *Will* Those Gnomes Think of Next? Flying minature giant space hamsters! Copyright (c) 2014 by SkyPirate Creations. All rights reserved. Click on the picture for the Etsy site where you can get your own! 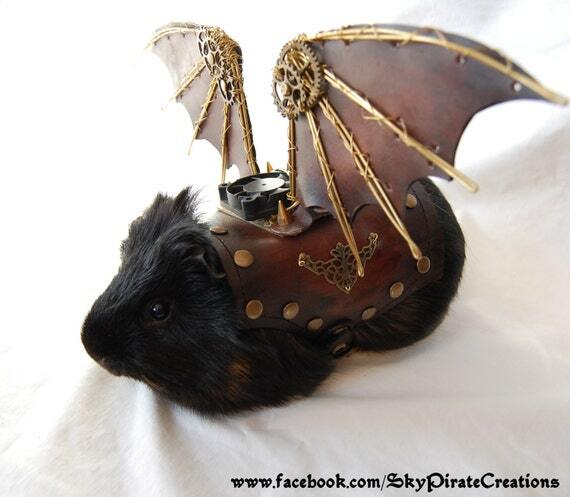 In all seriousness, these cool moving steampunk wings for your guinea pig are available from SkyPirate Creations for $82.24 Cnd. You can get your own by clicking on the link! Cool, huh?